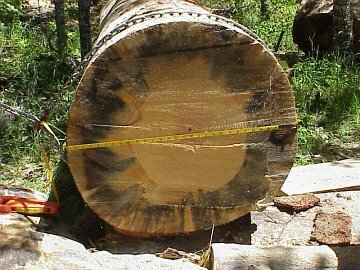 This enormous Oregon Yellow Pine was felled because it had been assailed by the Pine Bark beetle and posed a threat to passers by on a road near by.. It is 30 inches wide and 12 feet long. The next series of images illustrates how I milled this behemoth using a tripod and come-a-long to manage it.